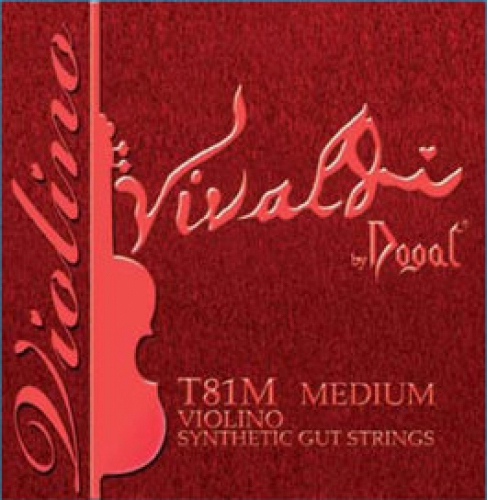 The "Vivaldi" T81M Violin Strings from Dogal are made for professional Violinists. They are produced entirely by hand in their Venetian workshop. Vivaldi violin strings, made with a multi-filament synthetic core with high percentage of carbon fibre, provide excellent volume of sound, immediate response & perfect fifths, with reduced soundboard stress.